The single biggest flaw in IT Service Management is that too many people still seem to have no ability and/or no interest in listening intelligently to what customers say they need from IT, and then responding intelligently to the information received. No wonder we continue to get such bad press! If IT departments do not start shaping up - across the board and take their customer requirements more seriously, then they are likely to find the value of their services being called into question - even more than at present. Good customer service starts with listening - with respect - to what customers are telling us and translating it into delivery of the services required. Successful organisations get this. It is time for IT to do the same. This webinar identifies some of the most common mistakes made and provides you with practical suggestions on how to improve your customer/IT relationships, or, if you already think they are excellent, some timely reminders to keep you on your toes. 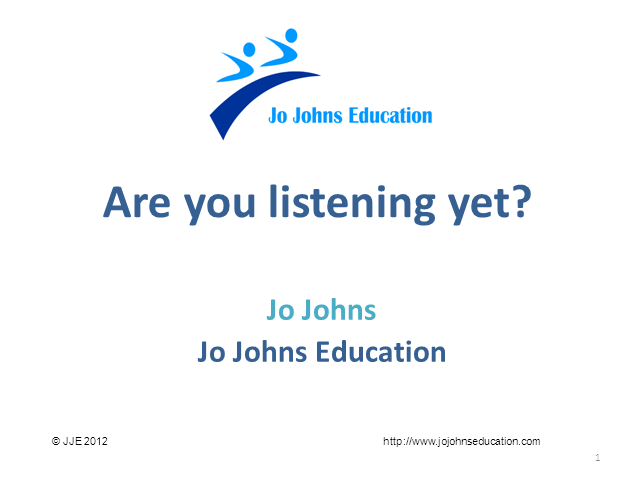 Title: Are You Listening Yet?